This was on the steep cliffs near Sanaigmore, a quite fabulous day out. The cliffs here are quite steep and high with great views on a calm sunny day. Probably better avoided on a windy let alone stormy day. As usual I will post a larger version of the picture on the Islay Pictures photoblog on Saturday morning. 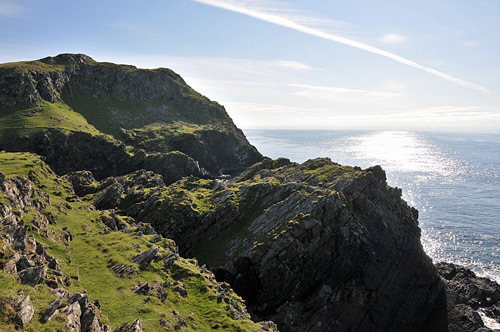 If all goes well I hope to post another Islay panorama this weekend, possibly from this walk. With that, good night!